Krishnamurti (KC) Chidambaram is a Marine Engineer with over 50 years of experience in Ship operation, ship management, ship building and repair, ship inspection, and marine engineer training, ship & port equipment. Graduated from Marine Engineering College, DMET, in 1966 and was awarded the President’s Gold Medal. Served at sea/shore Indian Flag ships for 12 years, including 6 years as Chief Engineer. Established a Marine Engineering Company in 1979- Chidambaram Shipcare Private Limited, which is involved in the areas of ship-building, ship repair and marine engineering services and employs over 200 engineers and technicians. Established CSC Trust, a charitable educational trust for training of marine engineers in 1991. Established SMAG Peiner Grabs (India) Private Limited in association with SMAG, Germany, for Service & Sales of Worldwide No. 1 Peiner Grabs. Promoter and Director, Peiner SMAG Machinery (INDIA) Pvt. 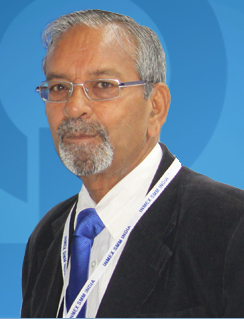 Ltd.
Past President, Institute of Marine Engineers (India). Served as Member, India National Shipping Board. 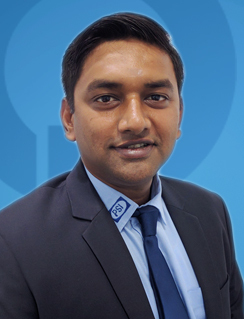 Rohit K. Chidambaram, Born in 1979 and graduated in the year 2000 with BEng(Hons) Maritime Technology in Marine Engineering and Naval Architecture from Southampton Solent University. Rohit K. Chidambaram, Born in 1979 and graduated in the year 2000 with BEng(Hons) Maritime Technology in Marine Engineering and Naval Architecture from Southampton Solent University. A Society for Underwater Technology (SUT) Scholarship Winner in 1999; Member of The Institute of Marine Engineers – MIMare and Member of the Royal Institute of Chartered Ship Brokers – MICS. Joined Chidambaram Shipcare as an Marine Engineer Officer Trainee in 1996 and worked as Ship Repair Engineer from the year 2000 after graduation. 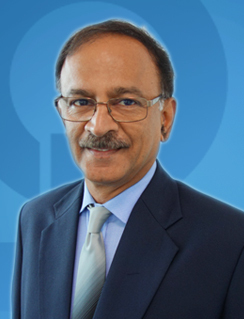 Promoted as General Manager in-charge of the Regional Office in Mumbai, India in 2005. Instrumental in the growth of the Grab business of SMAG Peiner in India. Promoter, CEO and Managing Director of Peiner SMAG Machinery (INDIA) Pvt. 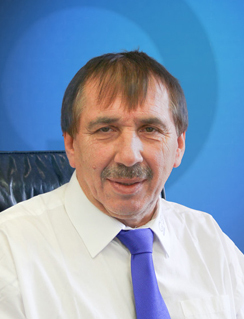 Ltd.
Jürgen Bialek trained in industrial management at PEINER AG, based in Peine, Germany, from August 1970 to April 1972. After having completed his training, Bialek was employed in the sales department of the PEINER AG grab division, where he was responsible for the distribution of PEINER grabs on the German market from 1976 to 1980. In 1981, Bialek was entrusted with the setup of a grabs distribution network in the Middle and Far East, and headed the company’s worldwide PEINER grab sales activities from 1985 to 1992. He has been joining the SMAG Group and its predecessor companies since the PEINER AG grab division was acquired by a predecessor company of Salzgitter Maschinenbau AG in 1986. Jürgen Bialek was entrusted with the sole leadership of the grab division in 1992. Bialek has been a member of the Salzgitter Maschinenbau AG´s management board since its transformation from SMAG GmbH. Sebastian H. Brandes, born in 1965, is married and has two children. He holds a Master Degree in Business Administration (University in Göttingen/Germany). After having completed his professional education, military service and studies, Sebastian Brandes passed a management trainee program with Preussag AG from 1992 to 1994. Then he joined Noell Service Maschinentechnik GmbH and was appointed Commercial Director. After Noell Service Maschinentechnik GmbH was taken over by the Konecranes Group, Sebastian Brandes joined the senior management and held several managerial positions (Financial Director, Managing Director) between 2000 and 2005. From 2005 to the beginning of 2009, Mr. Brandes managed STAHL CraneSystems GmbH in Künzelsau/ Germany as Managing Director. 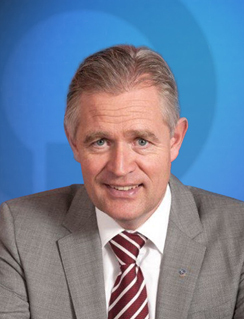 Sebastian H. Brandes has been CEO of Salzgitter Maschinenbau AG since March 1, 2009. Ellan Y.H. Chan, born in 1953, is married with two children. After having completed his higher education in mechanical engineering he started his carrier in the field of construction machinery. Ellan Y.H. Chan, born in 1953, is married with two children. After having completed his higher education in mechanical engineering he started his carrier in the field of construction machinery. Then in 1983 he joined Salzgitter Stahl Hong Kong Office as the Technical Manager mainly responsible for the sales and service of the PEINER cranes for Hong Kong, China and South East Asia. By 1988 Mr. Chan was appointed as the Deputy Representative of the Salzgitter Stahl Beijing Representative Office and was relocated to Beijing focusing mainly the business development of industrial equipments for the interest of the Salzgitter group companies. Followed by the takeover of SKET Schwermaschinenbau Magdeburg GmbH by Salzgitter Maschinenbau AG in 1993 and due to his long China experiences, Mr. Chan was appointed in 1995 as the Managing Director for the SKET office in Beijing. By 1997 the first SMAG joint venture company in China officially started operation. Chan was then appointed as the Managing Director of the joint venture company, the Shanghai Peiner SMAG Machinery Co., Ltd. till now. At the same time Mr.Chan is also the Vice Chairman of the Board of the joint venture company. 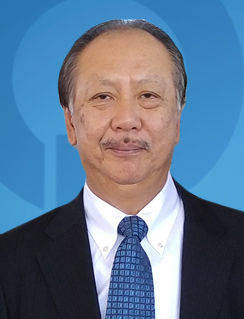 As for the business community, Mr. Chan has been the Vice Chairman of the Hong Kong Chamber of Commerce in China from 1990 to 1995 and the Executive Committee of the Shanghai Qingpu Quality Association from 1998 to 2000. K. Subramanian (Subbu) is a Mechanical Engineer (Honours) from Madras University. He also holds a Master’s Degree in Metallurgy (Metal Forming) from IIT Madras. He was born in 1958 and has two daughters. He has a wide exposure to manufacturing for about 10 years in the areas of New project planning , Project execution, Production engineering, Tool & fixture design and Vendor development. Post this, for 2 decades he headed the Ship repair operations for Chidambaram Shipcare at Chennai and was instrumental in setting up and managing the SMAG Grabs service centre. Since 2013 he was responsible for the Technical project planning, execution and Operation of the new grab factory in Ranipet. Subbu is a member of Institution of Engineers, Institute of Marine Engineers (India), The Indian Institute of Welding and The Fluid Power Society of India.